(Cleveland, OH – June 11, 2014). 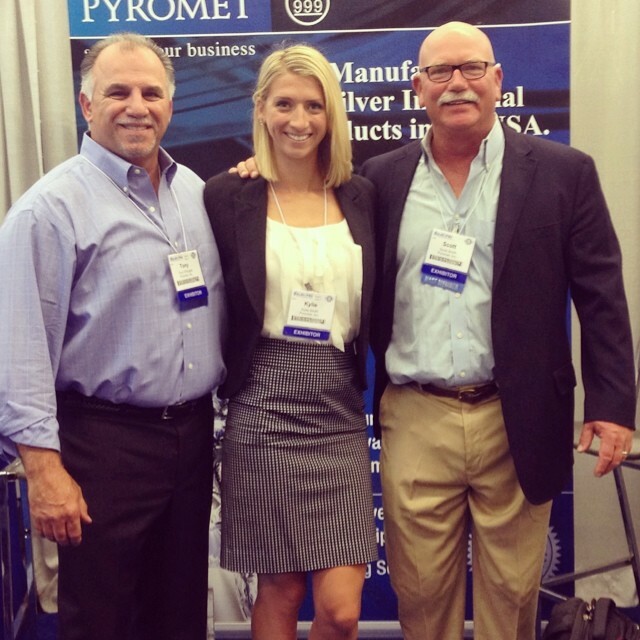 Scott Smith, CEO of Pyromet, Tony D'Angelo, Vice President of Sales, and Kylie Smith, Public Relations Coordinator, traveled to Cleveland, OH for this year’s the NASF’s SUR/FIN Manufacturing & Technology Tradeshow and Conference. This was Pyromet’s 14th year attending. “I always enjoy going to this show,” says D’Angelo. “We are able to spend time with Pyromet’s current customers and have great opportunities to gain new customers”. This event included plant operators, legislative and environmental experts, industry executives and educators. SUR/FIN has become the industry’s most popular finishing conference. The Pyromet team is looking forward to attending next year’s show. “We enjoy going, and are excited for next year,” said Smith.